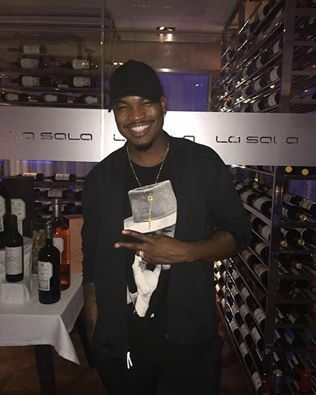 The one and only NE-YO was spotted at La Sala Gibraltar ahead of his performance at the Gibraltar Music Festival! Shaffer Chimere Smith (born October 18, 1979), better known by his stage name Ne-Yo, is an American R&B singer, songwriter, record producer, dancer, and actor. Ne-Yo gained fame for his songwriting abilities when he penned his 2004 hit Let Me Love You for singer Mario. The single's successful release in the United States prompted an informal meeting between Ne-Yo and Def Jam's label head, and the signing of a recording contract. On July 12, 2016, he was a guest judge on NBC's America's Got Talent Judge Cuts. La Sala Gibraltar takes the irrevocable values of La Sala, including terraces and prime location, relaxed and welcoming atmosphere, good value fine dining and live music acts; but now in the idyllic chic setting of the Sunborn yacht. For reservations at La Sala Gibraltar, call on +34 95 281 4145 or email at info@lasalagibraltar.com!